BIOS stands for Basic Input Output System. is a software (written in assembly language) which regulates the basic functions of the hardware (hardware) computer. BIOS is embedded in a chip memory (ROM or Flash Memory based Comlpimentari Metal Oxide Semiconductor (CMOS) which is found on the motherboard. A battery that is commonly referred to as the CMOS battery serves to maintain the date and other settings that we have not lost a set in the BIOS or back to the initial configuration even though the computer is turned off. The main functions of the BIOS is to give instructions known as POST (Power On Selft Test) command to initialize and identify system devices such as CPU, RAM, VGA Card, Keyboard and Mouse, Hardisk drive, Optical (CD / DVD) drives and hardware other when the computer starts booting. The workings of the BIOS is starting with the initialization process, which in this process we can see the amount of installed memory, hard drive type and capacity and so on. BIOS will then search, initialize and display the information from the Graphics Card. Then it will check the ROM devices such as hard disk and then do the testing RAM is memory count-up test. After all the test components is accomplished, then the BIOS will search for the location of the boot device and Operating System. 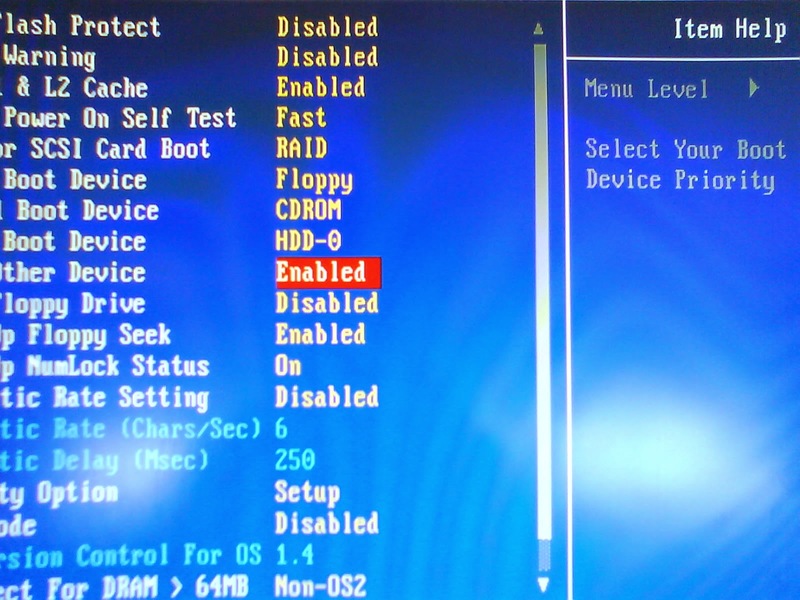 To access the BIOS can be done by pressing a certain key (usually Delete or F2 key) on the keyboard when the computer is first turned on. There will be written as "Pres F2 to enter setup", then simply press the F2 key repeatedly. 1 Standard CMOS Features, for setting the date and see the hard drive is detected, etc..
2 Advanced BIOS Features, setting the boot device priority (for the first boot device options) can be set here. 6. PnP / PCI Configuration, configure clock / speed of each perangakat installed on port PCI / PnP, eg vga pci, pci Lancard, wirelles pci port, HDMI, etc. 7 PC Health Status, we can check the temperature and voltage of the Power Suplly here. 8 Load Fail-Safe Defaults (Load Factory Settings), select this menu to return all settings to the native mode (the default). 9 Load Optimized Defaults, restore optimal settings recommended by factory default. 12. Save & Exit Setup, save the settings and exit the BIOS. 13. Exit Without Saving, exit the bios screen without saving the settings. b. when they want to do ISTALLASI first boot windows settings must be set in advance here.